Today, life would be impossible without the best wireless routers. However, the problem is how to find the best router. This is why we have created a rundown of the best wireless routers for 2019. Some of these routers are not suitable for everyone since they are a bit expensive. However, you can be assured that these wireless routers are definitely good since they made it to our list of the best wireless routers. Wireless routers are very important in every home or business. A good wireless router is capable of handling the huge demand for Wi-Fi connectivity. Since it will be used for connecting various types of devices such as smartphones, tablets, smart TVs, and other types of mobile devices, there are some essential things that you need to consider. One of the most important things to consider is the extent of your coverage area as well as the number of users and the types of devices that they are using. Assuming that not everyone is using the latest and best models then it’s senseless for you to pay for the features that are impractical. However, if most of your family members are competing for bandwidth for streaming videos then you probably need to buy a new one. This can give satisfaction to everybody. Here we will help you in choosing the best router that is capable of handling your present and prospective needs when it comes to wireless networking. We’ll also give you our top selections to help you get started. Wireless routers differ in a lot of things. Some models are compatible with a single radio band while others are not. Customarily, single-band wireless routers are much cheaper. It runs on the 2.4GHz frequency band. They are typically used for most home devices such as a microwave oven. It can also be used for wireless phones and other types of Bluetooth devices. Simply put, this is the best choice for Web surfing as well as for connecting social media networks such as Facebook and Twitter. Dual-band wireless routers are the perfect choice for devices which are streaming videos or using online gaming services like Xbox Live. This type of router consists of two radios. The first radio connects to the 2.4GHz band while the second radio connects to the 5GHz band. Generally, the 5GHz band is not too congested compared to the 2.4GHz band. It is perfect for video streaming and online gaming services since it has less signal interference and provides more throughput. With dual-band routers, you can designate a band for each client and application. Tri-band routers consist of three radios. It has one radio for 2.4GHz as well as two radios for 5GHz. 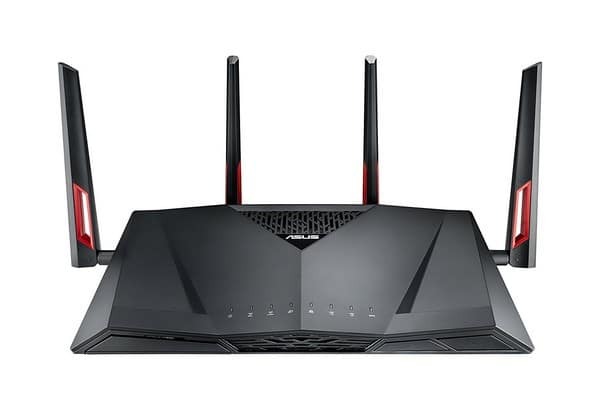 If most of your devices at home are streaming videos or doing lots of file transfers, torrent downloading, and online gaming then you surely require tri-band routers. 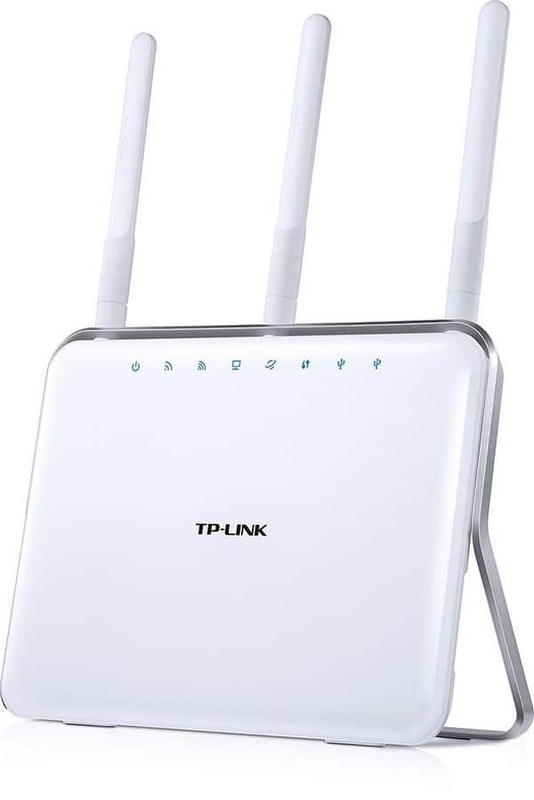 TP-Link AC3200 Wireless Routers is our top choice because it has three wireless networks and six antennas to give you more wireless resources. The 802.11ac is being supported by two 5GHz bands. This means that regardless if you are doing large transfers in one channel, you can still enjoy a full speed on the other. This is made possible by TP-Link’s Smart Wi-Fi tech which spontaneously designates the appropriate frequency band to your device. It has a simple management interface which contains the basic settings and the advanced settings for the Wi-Fi band. It features 1GHz Dual-core processor with three co-processors. Dual 802.11ac wireless networks for multiple gadgets and computers. It has loads of internal processing power. It does not have a built-in modem. 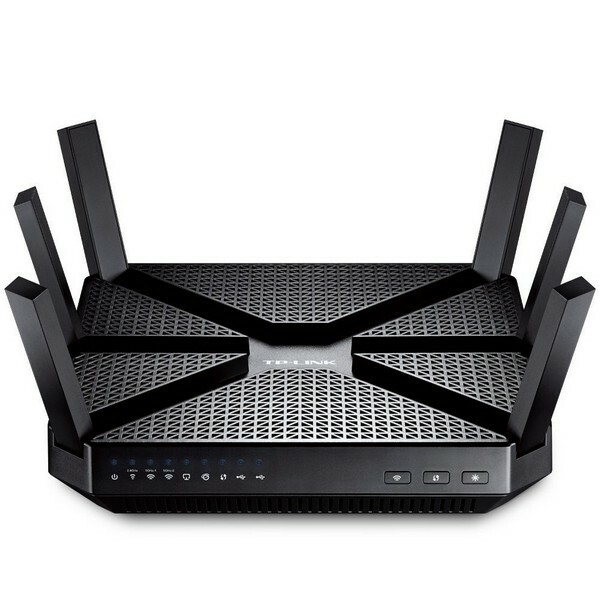 ASUS RT-AC5300 Wireless Routers is the ultimate choice for busy home networks. If most of your family members are using different devices for connecting to the internet then this Tri-band gigabit router is the best choice. It consists of two 5GHz bands and 2.4GHz band. For easy adjustment, you can use a smartphone app. The QoS system will determine the type of network traffic needed for a particular device. It is one of the most expensive routers. There is only one USB 3.0 port. It has a unique design which may not be desirable for everyone. Linksys WRT1900AC Wireless Router looks dramatic yet it can perform effectively. It has a dual-core 1.6 GHz processor along with a built-in VPN. The software interface is very easy to use, making it ideal for any household. Take advantage of its fast external connectivity using the USB. Excellent performance with an expansive coverage along with a USB shared storage. Comes with an extensive software. Does not include 4×4 antenna speeds which can be found in some routers. Has the fastest wireless speeds. It uses an extensive software interface. In order to enjoy its top speed, a special hardware is needed. Starry Station Touchscreen WiFi Router is somewhat unique since this one is more on comfort and style. It has a triangular shape, making it a perfect adornment on your home or office. Undoubtedly, it’s a bit pricey considering it does not offer the fastest speed and the longest range. However, it does offer ease of use and style. It has a simple interface that looks classy. The controls can be done on its 3.8-inch LCD touchscreen. The source needs some rewiring. The very first router from Synology is quite impressive. 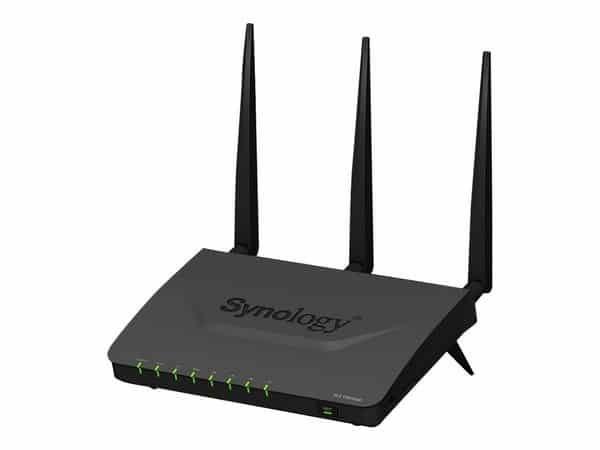 This router uses a Linux-based software interface on its Synology Router Manager. If you’ve used Synology NAS before then you’re probably familiar with this design. When it comes to its hardware, it offers 600 Mbps 802.11n and 1300 Mbps 802.11ac. Coincidentally, it also offers excellent support for shared storage along with an amazing iOS and Android apps for accessing files. Its software interface is remarkably design and very easy to use. What makes it unique from the others is its SD-card slot. It does not have a modem. There is only one USB port. TP-Link AC1900 Wireless Wi-Fi Router might be cheaper compared to its competitors yet it’s so powerful. In fact, this router is capable of supporting 1300Mbps 802.11ac wireless speeds that offer superior performance on most laptops. It uses an excellent software interface and its internals is quite impressive. It offers great value for its price. Loaded with a range of features. It comes in a bright white design which provides a calming effect on your living room. Its USB performance is just adequate. Does not offer the best range. Its built-in modem can only support DSL. 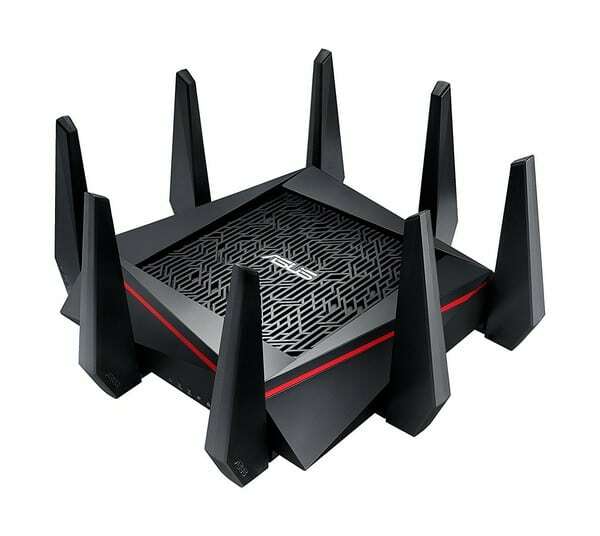 Zyxel Armor Z2 AC2600 Wireless Router is the gaming router that you deserve. Although, it might look a bit odd yet it has powerful internal specs. It utilizes a 1.7GHz dual-core processor along with 512GB of RAM. The settings can be accessed via its web-based software interface. This router is expensive but it’s well worthy of its price since it comes with great features. One of its greatest features is StreamBoost which designates higher speeds to devices which require them. Offers impressive MU-MIMO wireless speeds. Comes with a superior traffic analysis software. The speed on its USB port is just adequate. Not too many devices are currently using quad-stream 802.11ac. Google Wifi System is the best way to expand wireless internet in your entire household. This router does not have any web-based interface and it can only be controlled via its Google Wifi mobile application. Google claims that it does not store any activity data. Although it collects hardware related data, however, you can choose to turn it off on the settings. It’s very easy to use and can be installed instantly. Offers faster speed and excellent Wi-Fi coverage. Requires a google account and an iOS or Android mobile device. It does not offer several advanced features. Netgear Orbi Home WiFi System includes two devices which look the same but functions differently. 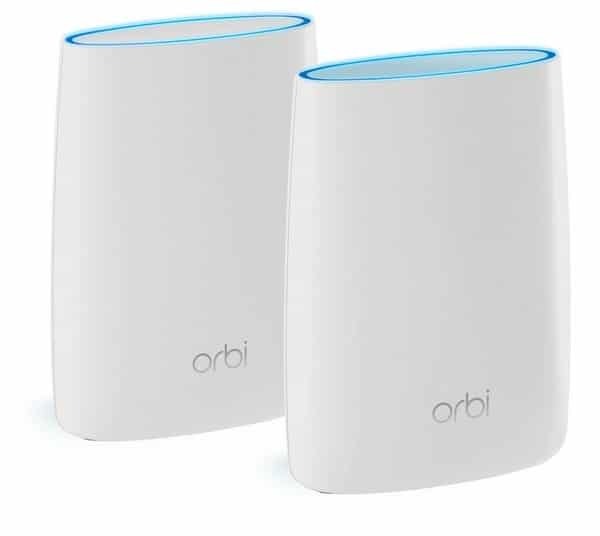 The two devices are Orbi router and Orbi add-on satellite. The Orbi router consists of one WAN and three LAN ports. This device can stand on its own. On the other hand, the Orbi add-on satellite functions as a wireless extender of the Orbi router. It consists of four LAN ports and can only be used with an Orbi router. Offers wide Wi-Fi coverage without sacrificing its speed. It does not require a Netgear account. The settings cannot be accessed through a mobile app. Wireless Ethernet networks commonly use 802.11 protocols for sending and receiving data. Some devices which are using the older versions only have limited data transfer rates. For instance, an 802.11b protocol has a data transfer rate of 11Mbps while 802.11g protocol has 54Mbps transfer rate. Both of them operates on a 2.4GHz band. A Wi-Fi protocol, 802.11n is commonly used since it offers up to 600Mbps data rates and can operate on 2.4GHz and 5GHz bands. This is typically used by most smartphones and laptops since it uses Multiple Input Multiple Output (MIMO) technology for an excellent performance. The latest models of wireless routers are using 802.11ac technology. It has a lot of enhancements over the previous models. It uses beamforming technology which sends Wi-Fi signals straight to the user instead of broadcasting in various directions. The maximum speed of these routers is shown on its labels. For instance, an AC1750 router has a 2.4GHz band with a rate of 450Mbps and a 5GHz band with a rate of 1,300Mbps. Take note that in reality, these routers can hardly read its maximum speeds. This means if you’re searching for the best performance then you’ll have to choose a high-speed router that costs more. Wireless routers allow you to connect to the internet without using any cables. It works by plugging the router into an internet connection. Aside from wireless connections, it also allows you to use wired connections. The number of computers that can access the broadband connection will vary depending on the number of ports in a particular router. Wireless routers usually come with a modem which connects the computers. Wireless routers use radio frequency waves in transmitting data. The best way to describe it is to compare it with a two-way radio communication. Wireless routers let you enjoy Wi-Fi connections without the hassle of installing wires on your household. It uses satellites to expand it’s Wi-Fi signal. These satellites offer you continuous connectivity throughout the entire household. Typically, it is installed automatically so you don’t have to configure it. Plus, it offers you faster speeds.